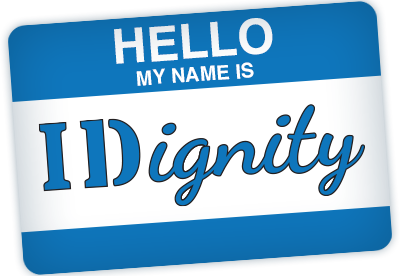 IDignity is a 501(c)(3) nonprofit, and we do not charge for our services to those in need. It costs about $250 and four hours of volunteer time to obtain all identification necessary for one client to become self-sufficient. IDignity’s monthly Client Services Events that reach 200–250 clients are staffed by 120–140 volunteers. It’s a unique volunteer experience with various options to serve for those aged 16 and older. We rely on grassroots advocates, like our founding members from five downtown churches, to help individuals obtain legal identification. Your voices and advocacy are critical to our ongoing endeavors. This is James. He is in a support program at a local rehabilitation center. There, he is going through the process of taking his life back into his own hands. For James, one step in that process is getting a new ID. He recently became employed. But shortly after, he lost his ID. Without his ID, he has not been able to set up a bank account so he can receive direct deposit. Covering the cost of an ID isn’t always the biggest barrier for our clients. But for James, someone with income but no way to access the funds, the fact that IDignity could replace his ID card at no cost to him made all the difference. Now he can move on to the next step.